1. any upright wall-like partition in a ship, aircraft, vehicle, etc. 2. a wall or partition built to hold back earth, fire, water, etc. 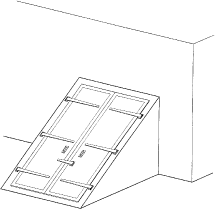 A horizontal or inclined door over a stairway giving access to a cellar; a structure on the roof of a building covering a water tank, shaft or service equipment. A wall, partition, or such in a rocket, spacecraft, airplane fuselage, or similar structure, at right angles to the longitudinal axis of the structure and serving to strengthen, divide, or help give shape to the structure. A tight-seal partition of wood, rock, and mud or concrete in mines that serves to protect against gas, fire, and water. An upright partition separating compartments in a ship. i. A fireproof barrier separating the engine into various temperature zones. The cool zone houses the fuel, oil, hydraulic, and electrical components, along with their associated systems. The zones may be maintained at different pressures to prevent the spread of any fire from the hot zone. ii. Any transverse partition in the fuselage at a right angle to the longitudinal axis to the body, serving to strengthen, divide, or help give shape to the structure. In the process, it divides the body into two parts. A similar concept was investigated in this study where a shield was placed between the bulkhead and the first bunk and stake pair, Figure 5. The work to repair the bulkhead involved moving a barge carrying generators, sandblasting equipment, and a desalination station to produce freshwater to wash the steel onsite. The motor bracket is further held in place with four stainless-steel carriage bolts inserted through holes drilled in the transom and the aft bulkhead. 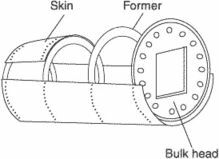 Initial bulkhead designs featuring TPEs and TPRs often failed for several reasons, including long-term exposure to the fuel, as well as the freezing, thawing and refreezing of the systems in the northern climates, according to the company. For operational efficiency, the interior moving bulkheads incorporate sliding centre doors to enable movement between the front and rear compartments from inside the vehicle. Thermo King is pleased to announce the introduction of its new PrimAir Universal Insulated Bulkhead, in partnership with ITW Insulated Products. He said: "The bulkhead was to play a role in the events surrounding the sinking. This particular setup cost me just over $10--$7 for the bulkhead flange and 3/4" bib spigot, and $3 for an oscillating sprinkler. Bulkheads USA Swimming also has paperwork stating the fastest times are swimming bulkhead to bulkhead. All of the vehicles have been specified with bespoke longitudinal bulkhead dividers to create two separate lanes along the length of each body. Progressive's first part was a major bulkhead for the F-35's wing section. The Kubistar E gets a bulkhead, rubber load mat and interior wheelarch protectors, tinted glass, remote central locking, power steering, an airbag, and a two-speaker radio cassette with steering-wheel mounted controls.